Learn To REALLY Read Piano Music In Weeks Not Years! Looking For A Piano Teacher? 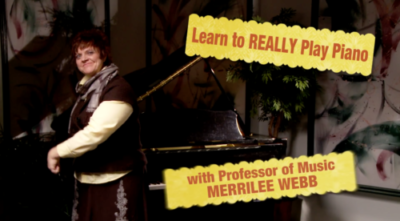 Click here for our 16 week online program, where Merrilee Webb will have you laughing as you learn to read music. We can also connect you with teachers who use the RKM Method in your area. Already have a piano teacher, and love the RKM Method? Then this section is for you. Click here to order the Reading Keyboard Music Books you'll use in your piano lessons with your teacher. Are You A Piano Teacher? Click here to order RKM products with your teacher discount. If you don't have a teacher discount, email us at readingkeyboardmusic@gmail.com for more information. Click Below To Get Started! This is how I, and my then four year old, now six, learned to PLAY the piano, NOT PLINK. We have only been PLAYING for just over a year! LOVE THIS METHOD, don't think that I could play all the songs I do without it!!!!!!!! :D Love this method and the Piano teacher we have that teaches this method as well! My kids have all learned to read music from this program. Tami is my mentor and my kid's teacher. She introduced me to Reading Keyboard Music. My kids have all learned to read music from this program. I also teach Suzuki and RKM is a great way for students to learn to read! I use it with all my students also! Way to go RKM!!! I hope someday I can play for you and you can hear my brilliance! I’ve been learning to read Keyboard music for 5 weeks (i just watched the 5th class). I was practicing reading and playing one of my favorite songs “The Family is of God” (treble clef only) when my husband walks in and asks, “How long have you been practicing that song?” I respond 2 days (few hours). “That’s incredible,” he remarks in all honesty and heartfelt love. Then I start crying and tell him how amazing this program is and how much I love the piano! Then he tells me not to cry because then he starts crying. It was a sweet moment to have some validation that I really needed. I’ve wanted to play all my life and just never had the privilege to learn ... Thank you for your inspiration and love for the piano to put together this program. I hope someday I can play for you and you can hear my brilliance! I’ve been learning to read Keyboard music for 5 weeks (i just watched the 5th class). I was practicing reading and playing one of my favorite songs “The Family is of God” (treble clef only) when my husband walks in and asks, “How long have you been practicing that song?” I respond 2 days (few hours). “That’s incredible,” he remarks in all honesty and heartfelt love. Then I start crying and tell him how amazing this program is and how much I love the piano! Then he tells me not to cry because then he starts crying. It was a sweet moment to have some validation that I really needed. I’ve wanted to play all my life and just never had the privilege to learn ... Thank you for your inspiration and love for the piano to put together this program. I hope someday I can play for you and you can hear my brilliance! Now he plays prelude music in Sunday School! My nephew started Learning to Play a few months ago and even before getting to the last DVD in the course he was able to read music well enough to play songs from a simplified hymn book...so now he plays prelude music in his sunday school. Now that you see why you should learn to play the piano, are you ready to get started? 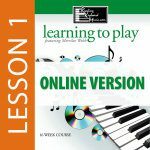 In these fun downloadable lessons, Merrilee teaches students how to read keyboard music in weeks. Once you can read the music, you can play any song you choose! So – what are you waiting for? Here’s a link to your first lesson. Let’s get started! 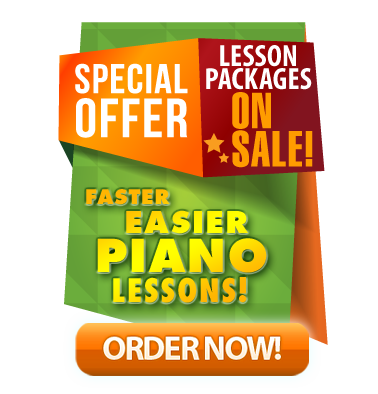 Start your piano learning journey here. Within just the first 15 minutes of this nearly hourlong lesson, you'll be sight-reading 6 notes of the staff–just like that! Welcome to Reading Keyboard Music! Nothing here yet, Get Started Today!